Are you planning to visit the Philippines soon? You may have scheduled tours with your family within Metro Manila and nearby provinces. Since you will be on the road most of the time, did you consider how to keep your kids safe while traveling? Safe Kids Manila will make sure your kids are buckled up for safety. Safe Kids Manila is the pioneer car seat rental service provider in the Philippines. It caters to tourists and balikbayans visiting the greater metropolitan Manila. It’s founder and owner, KC Constantino, knows the challenge of flying with toddlers or kids. Since they are based abroad, traveling with suitcases, babies, and car seats are a hassle. “There has got be a better way,” she tought. The car seat rental concept came one night as KC was driving with her child. She had a lightbulb moment while fixing her child’s car seat. 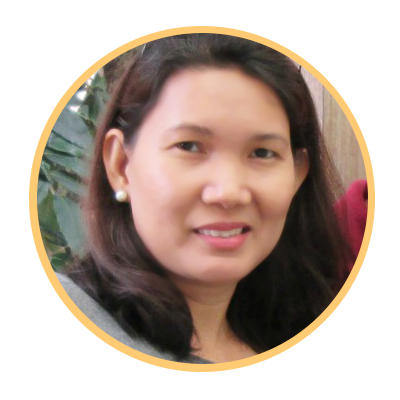 Being an advocate of child safety on the road, she set up Safe Kids Manila in the Philippines. Not only will parents be literally unburdened with bulky car seats in flight, but they are able to provide safety for their kids while vacationing in the Philippines. Did you know that the House of Representatives Committee on Transportation approved the bill requiring all private vehicles to install car seats for children? The proposed Child Safety in Motor Vehicle Act of 2017 ensures that the state provides safety for children in any form of vehicle while in transit. The Department of Health reported that car crash is the second leading cause of death among children 0 to 17 years old. Safe Kids Manila provide only quality, safe, and sanitized car seats. Because the founders are parents themselves, they know the concerns of other parents. They make sure they provide quality service to their clients and 24-hour customer support. Whether you are a Philippine resident or visiting, it is a MUST to have car seats while traveling. Strapping our young with seat belts is not enough. Make safety a priority. Safe Kids Manila offers car seats for infants (newborn to 6-month-old), convertible car seats for 4 to 5-year-olds, and booster seats for 5 to 10-year- olds or depending on the child’s weight and height. While you’re at it, you can also rent other items like a high chair, a First-Aid Kit, and a basic feeding set. Baby in rear-facing mode on the Mother’s Choice Avoro car seat. Evenflo Tribute car seat for toddlers. Photo from Safe Kids Manila. Maybe you are living in Manila but find high-end car seats expensive, but you want to secure your kids’ safety when you’re driving around the city. Safe Kids Manila can still help you. You have the option of renting car seats for an extended period. Reach out to their team to make arrangements for you. If you plan to visit the Philippines any time soon and you’re traveling with your kids below 10 years old, book a car seat with Safe Kids Manila. Get in touch with them through their Facebook page or their website. You and your family will be enjoying a vacation while keeping the kids safe.